THE parents of Madeleine McCann today demanded an independent review into the youngster's disappearance. They launched a petition calling for support for their lobbying of both the UK and Portugese governments for action. Three and a half years after Madeleine went missing Liverpool-born Kate and husband Gerry McCann said they have had enough of 'fluffy worthless words'. Mr McCann said: 'Essentially for the last three-and-a-half years the authorities have not been doing anything proactive to help Madeleine. 'That is despite our best efforts to encourage them to do so. Mrs McCann added: 'I don't want to be appeased and that's what I feel we're getting at the moment. 'We need action, I don't need fluffy worthless words. We need somebody to do something. The couple have met former home secretaries Alan Johnson and Jacqui Smith, as well as current Home Secretary Theresa May, to discuss the issue and to ask for a review of the case. Mrs McCann said when they met Mr Johnson, who commissioned a 'scoping exercise' by the Child Exploitation and Online Protection Centre to see if a review would be helpful, they felt they were making progress, but now did not even know if the report had been read. Madeleine was three when she went missing from her family's holiday flat in Praia da Luz in the Algarve on May 3, 2007, as her parents dined with friends nearby. Private detectives employed by the McCanns are still investigating the case and as well as the petition, the couple are appealing for continued financial support for the official Find Madeleine fund, as it stands the fund will run out in spring 2011. 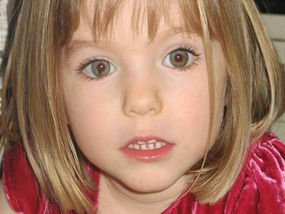 Mrs McCann said: 'Children do get found years down the line.There's no evidence that Madeleine is not out there alive. 'It's just heartbreaking to think that nothing is getting done other than what we are having to do, other than our small team. 'Obviously a small team has limitations. If we had a review, if we had help from the authorities, the chances of finding Madeleine would be much greater I think. 'The British authorities will maintain a dialogue with the Portuguese and continue to liaise with Madeleine's family. Gerry McCann For the last two and a half years the authorities have not been doing anything proactive to find Madeleine. That’s been despite our best efforts to encourage them to do so and I don’t think its right that the onus should fall on us. The authorities really should be doing more. Gerry McCann I think its fundamental, you know, there hasn’t been a formal case review and I think for such a serious case as this and particularly with the profile of it and the international aspects that that should be carried out and further inquiries should be determined as a result of the review. Kate McCann I mean Madeleine is still missing. She’s a little girl. Her abductor is still out there so, potentially, you know by not carrying on with the investigation we are putting other children at risk. Erm, I think more needs to be done. Gerry McCann I think you’re right. What we actually asked at the last meeting was to have some metrics by which to judge progress and at the minute there’s no time scale, there’s no deliverables, and its really difficult to see what the governments are actually doing.